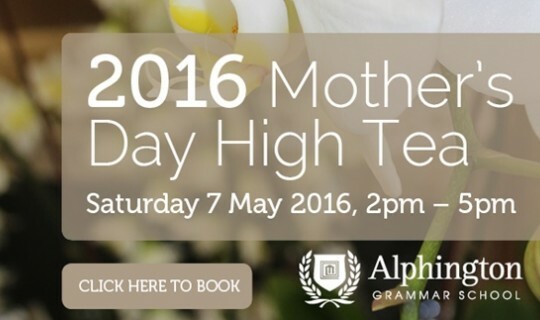 Alphington Grammar School's famous Mother’s Day High Tea will be held this year on Saturday 7 May, 2016 between 2-5pm. Again the school is looking forward to hosting a wonderful event in recognition of mothers, grandmothers, aunties, big sisters and women everywhere who provide strong role modelling to the next generation. Guest speaker for this year’s Mother’s Day High Tea is Adelaide mother of three, Taryn Brumfitt, Founder of The Body Image Movement, and creator of the upcoming documentary EMBRACE. Taryn is a body image advocate, who has shared her message around the world, via her impressive social media presence, and as a guest speaker for organisations such as Google. She has appeared on both Sunrise and the Today show in Australia, and has also been a guest on Good Morning America, and featured in Huffington Post.